Sports fishing is one of the more gentlemanly leisure-time pursuits. It requires patience, determination and clear thinking whilst at the same time providing those who pursue this noble activity with a taste of the charms of outdoor and country life... (freely translated from Arne Wahlroos, Finnish Tourist Association Year Book 1928). Finland has a long tradition of sports fishing. There's plenty of space, unspoilt nature and all the water you could wish for. In addition to which, there are expert fishing guides who know the local waters and who take good care of fishing visitors, ensuring they get to try the best fishing sites. This same timeless yearning to get to the water's edge still makes people today want to lightly cast their flies at the head of a rapids or cast their lures into the foaming surf near the rocks. 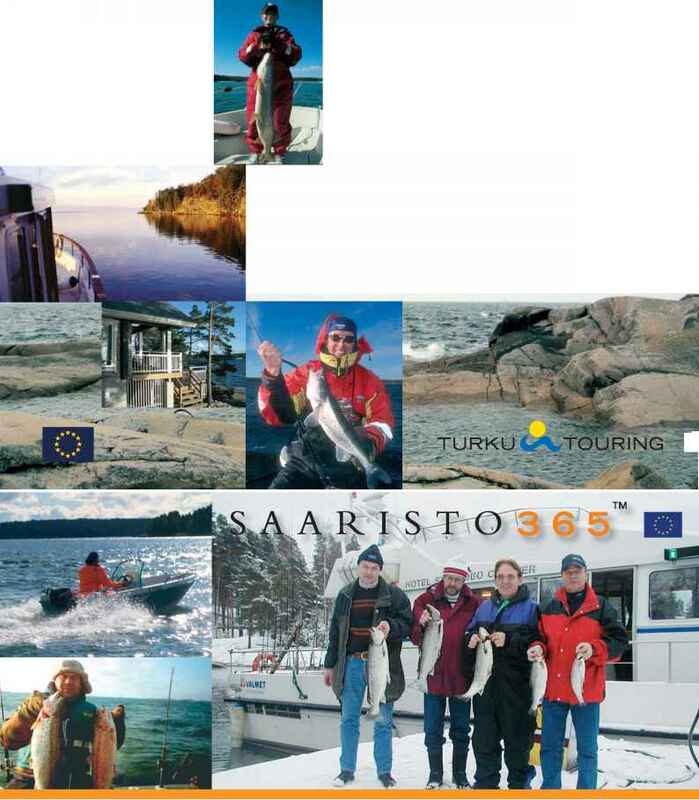 This brochure contains some of the best fishing packages in Finland. They are intended expressly for fishing visitors. For people that are passionate about making that textbook catch, we have fish lurking in the depths, in the reeds and in eddies seeking their prey in the waters fascinating embrace. For people who seek to experience the excitement flowing through their body time and again. For people who want to experience the sweet taste of victory of catching a worthy opponent or the dubious honour of losing the fight as a fish escapes and plunges irretrievably into the depths and to freedom. This brochure features gems for full-blooded sports fishers or potential sports fishers who have been bitten by the fishing bug. Unforgettable fishing experiences are yours for the taking in the archipelago, open stretches of lake, the majestic salmon rivers of Lapland or the trout rapids in South Finland. Browse the brochure at your leisure, look at the superb photos, read the descriptions of the fishing sites and let your imagination conjure up future fishing experiences. Come and fish in Finland. Tight lines!